So you’ve picked up a bargain tractor and it’s pretty tidy, but you want to make a few improvements? 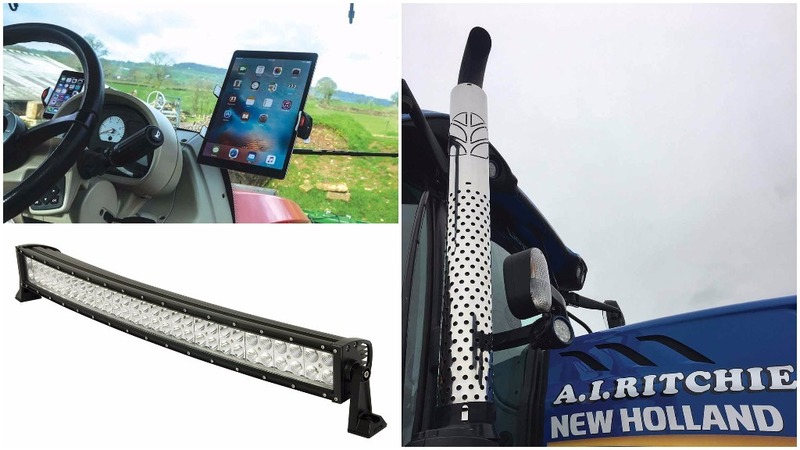 LED worklights and lightbars have proved a big hit both as OEM fitments to new tractors and for retrofitting, offering longer life, lower running costs and brighter illumination. Spaldings has added an extensive new range of high performance, CE-approved LED light bars and worklights for off-road applications. Features include long life 50,000 hour LEDs mounted in a die-cast aluminium housing with aluminium fixing brackets and a tough polycarbonate lens. Capable of operating in temperatures from minus 40 to plus 105 degrees celcius, the lights are suitable for all agricultural and other off-road applications. 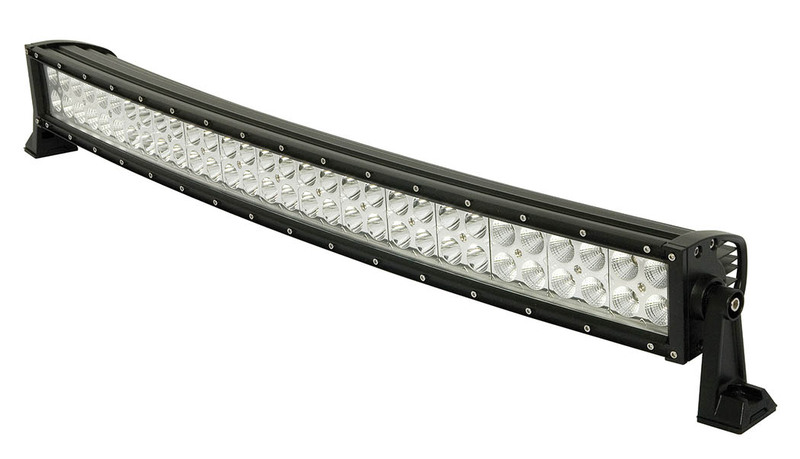 Straight and curved LED light bars are from 34 to 105cm in length and up to 14,400 lumen output with spot/flood combination beam. There is also a range of round and square LED work lights, available with spot or flood beams. 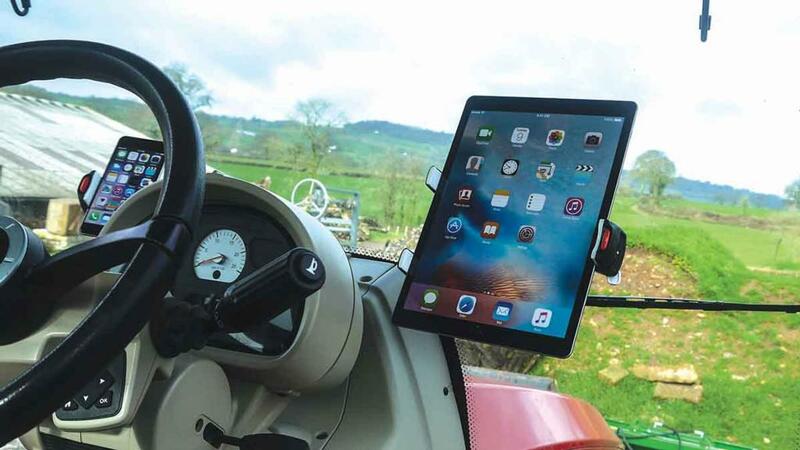 Mobile phones and tablets now form part of essential in-cab kit, especially as there is an increasing range of guidance, machine setting and agronomy apps available to use in the tractor. Sparex has recently introduced the Rokk mini range of holders to mount and secure devices in the cab. Designed as a compact, quick release and multi adjustable mounting system for smart phones, tablets, digital and action cameras, ROKK holders are quick fit and quick release. Tablets and phones can be angled for best visibility in different positions and light conditions and then locked into place. There is a choice of base, body and clamp which can be mixed and matched to suit different devices and mounting situations. Toolboxes which come with tractors are often woefully inadequate, so to avoid cluttering up the cab, what about a transport box? 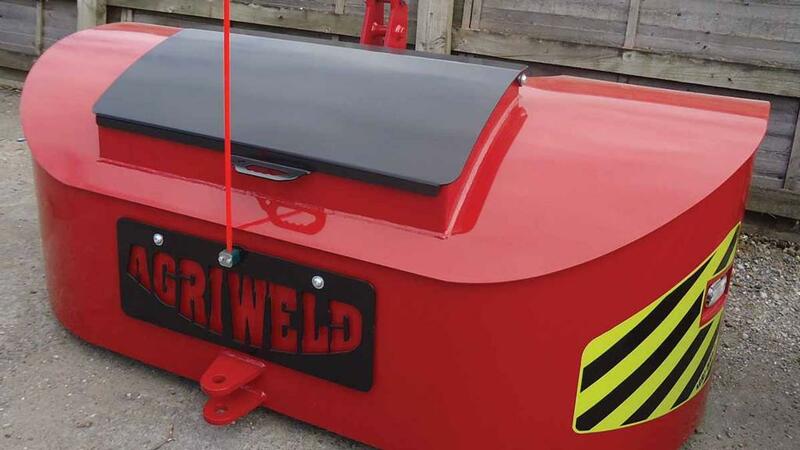 Agriweld offers five standard models to fit to the front linkage or tombstone, including a swath roller incorporated version and an optional 500kg of additional weight. All boxes come with Raptor hard wearing black textured internal coating, colour coding to suit the tractor, hi-vis chevrons, personal name plate and centre marker rod. Options for lighting units, logo name plates and other bespoke features are available. 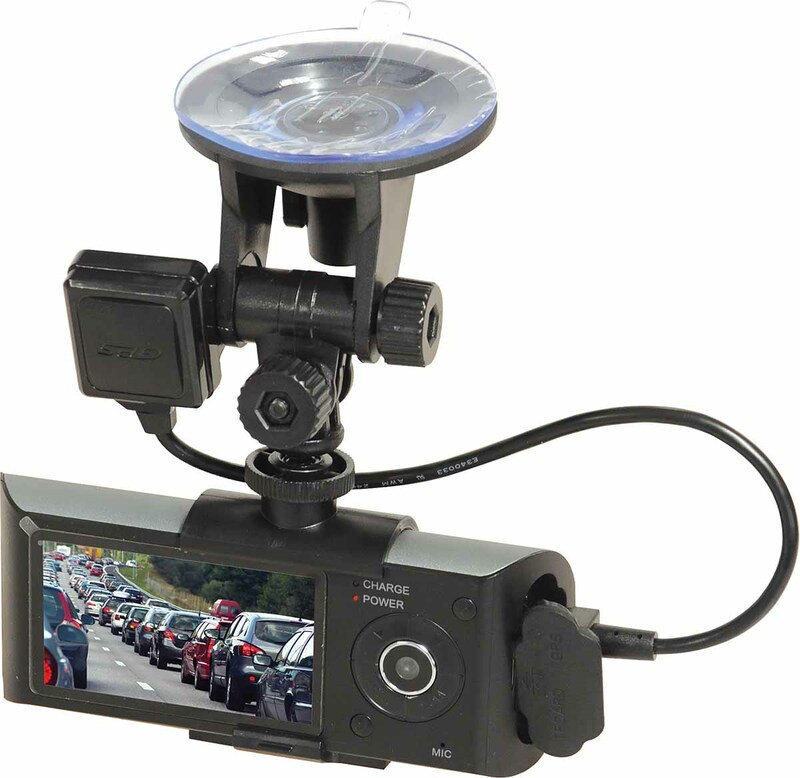 Given how congested roads are these days, a dash cam could be a useful addition to record video in case of accident and provide vital evidence for insurance claims. This camera from Sparex features auto stop/start with loop recording for easy use and features a built-in double lens which can be used to take two different images at the same time. A GPS module records the location. Images are recorded at 30 frames per second with audio recording, and the camera can also be used to take still photographs. Cab floor looking a bit tatty? Agri Accessories offers branded mats for a range of tractor marques, which are rubber backed and made of top quality carpet, says the firm. Designed to be hardwearing and pressure washable, the mats can also be personalised with the farm or company name embroidered on in addition to the logo. For complete in-cab coordination, you can add hand stitched seat covers, made to fit each section of seat for an improved fit. 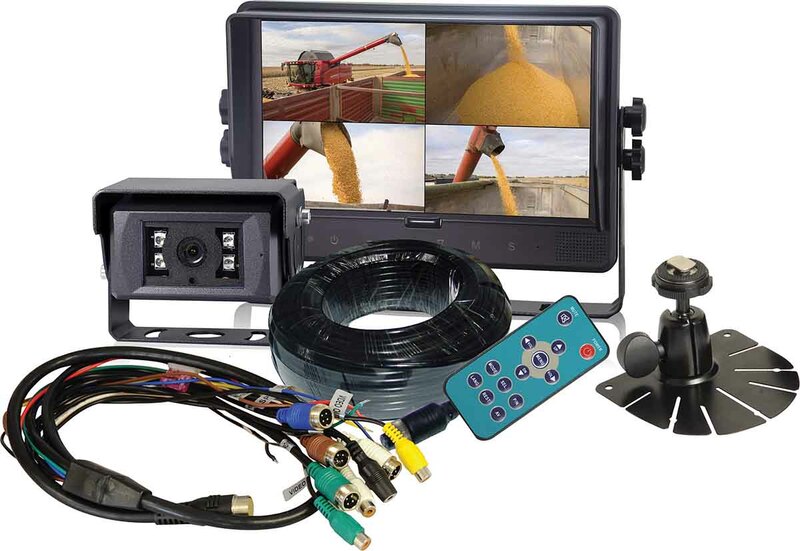 To monitor large trailers when reversing or keep tabs on harvesting operations etc, Sparex offers a wired reversing camera system which is supplied with a 23cm LCD monitor and one camera. The touch screen can be used to view up to four cameras, with one, two, three or four camera inputs on screen and multiple viewing options. The monitor has an integrated speaker with volume control and offers brightness, contrast and tint adjustment. It comes with full-function remote control and can be powered from a 12 or 24V power supply. 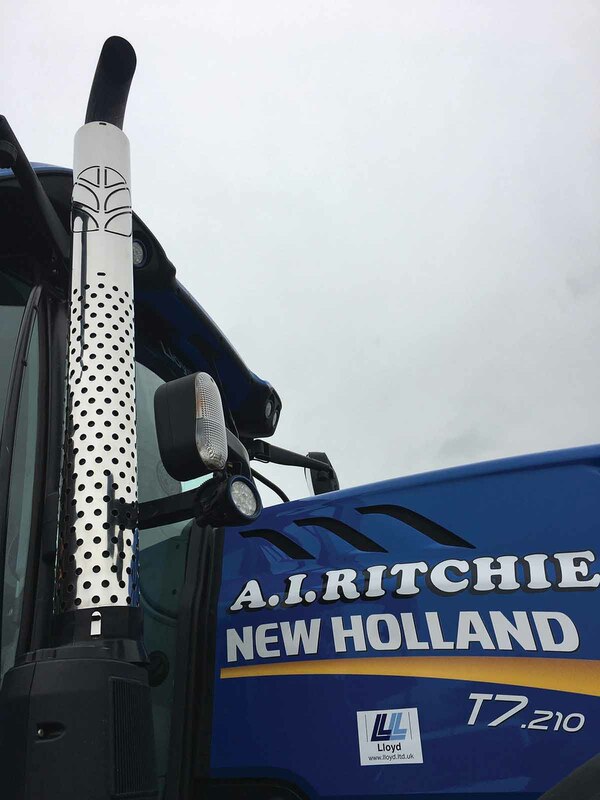 If you fancy adding a bit of bling to your tractor, Agri Accessories offers exhaust heatshields made from British stainless steel, hard faced to prevent scratching and with a polished finish. 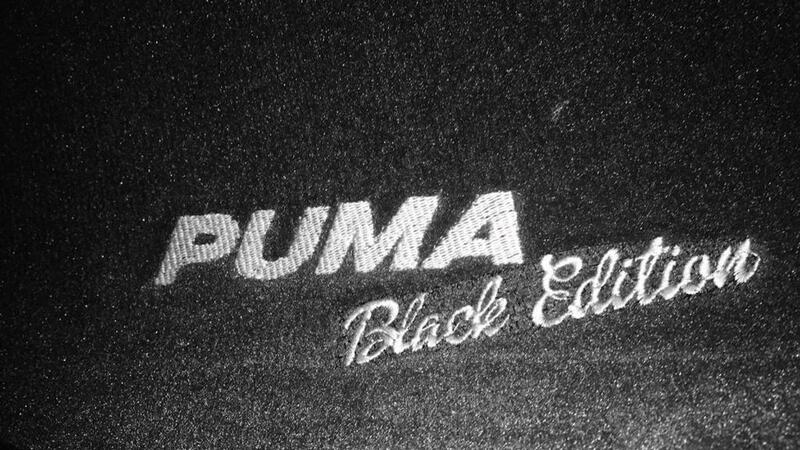 Versions can be made for most brands and models, complete with the brand logo if required. Tractor seats take a lot of hammer over their lifetime so you may want an upgrade. 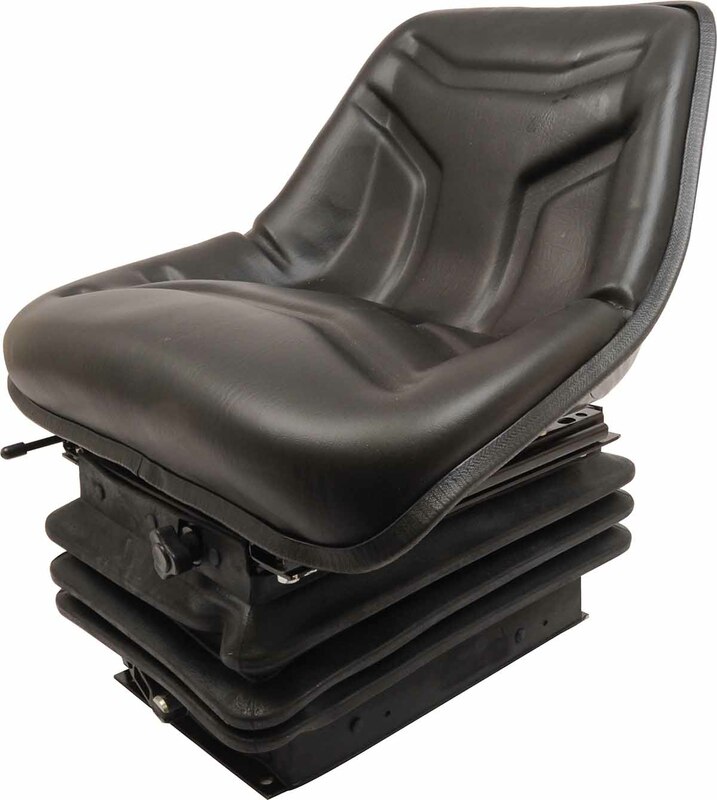 Sparex offers a mechanical suspension seat to take some of the bumps out, adjustable for the operator’s weight up to 120kg. It has a suspension stroke of 100mm and is fitted with a shock absorber, and offers slide travel of 485mm and height adjustment of 70mm to get the optimum driving position. The 485mm wide seat is covered with black vinyl to match any cab interior.